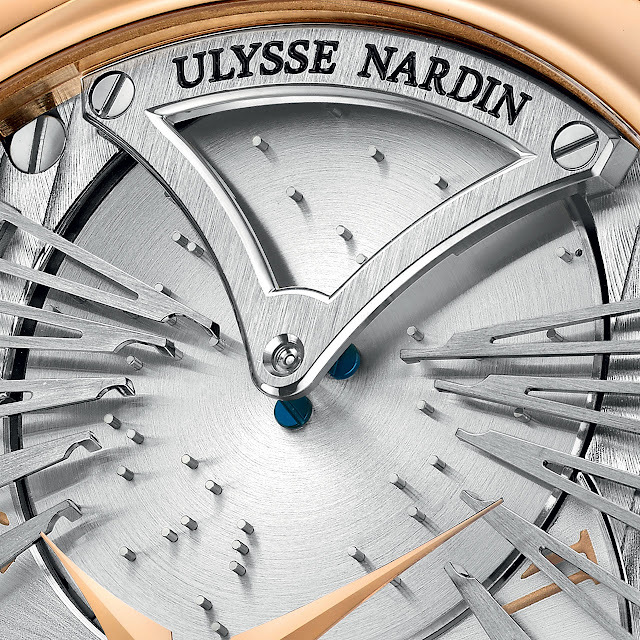 Ulysse Nardin astonishes collectors with a mechanical musical watch – developed in-house from the UN-690 calibre with silicon technology – that plays the legendary 1966 song, "Strangers in the Night". The uniqueness of this movement lies in the time-setting system. Rather than the conventional pulling, the crown is pushed to activate a function: T for time, D for date and W for wind. 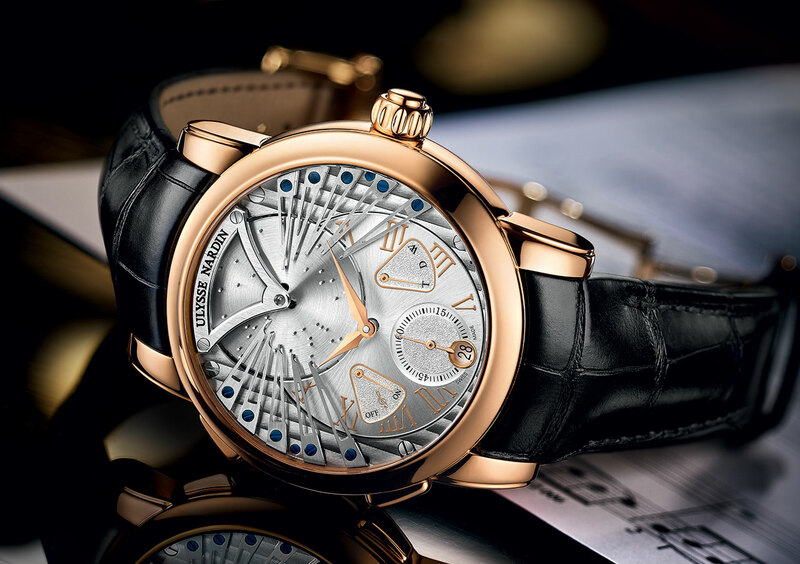 The craftsmanship and technical complexity of this watch are matched by the delightful addition of a miniaturised music box mechanism with 10 pins revolving on the dial. Produced as a 99-piece limited series.